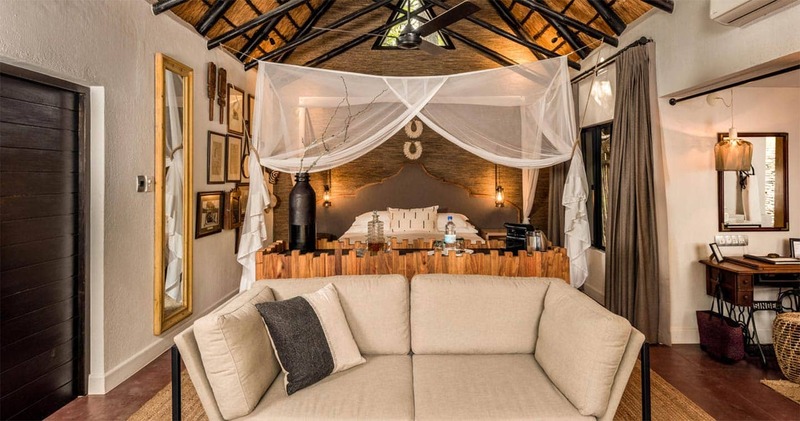 Sabi Sabi Selalti Lodge is a lodge which consists of just eight romantic luxury suites. 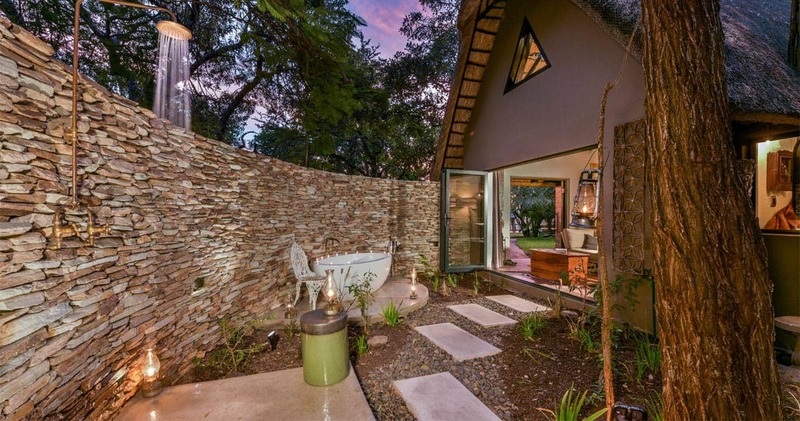 It is not surprising that this lodge is rewarded ‘luxury game lodge’ in South Africa. 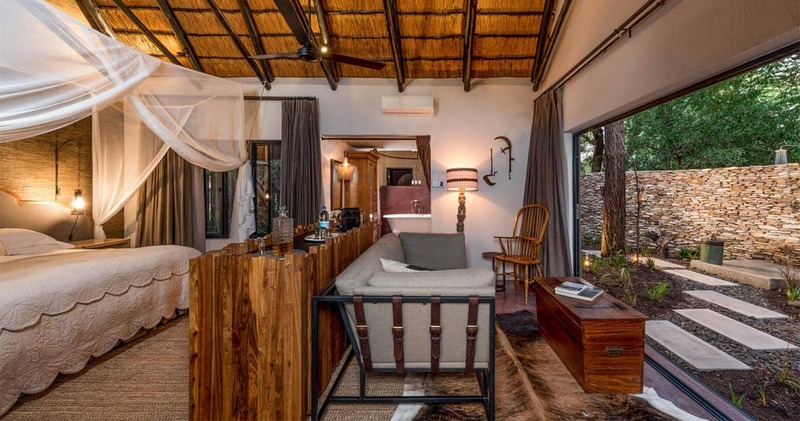 If you love authenticity and wish to experience a suite in a historical theme, then Sabi Sabi Selati Lodge is the perfect accommodation for you. A day spent at the Sabi Sabi Selati Lodge will no doubt be a day you will never forget. Enjoy the quietness and the peaceful atmosphere at Sabi Sabi Selati Lodge at night. The fires, oil lamps and lanterns create a relaxing paradise. The magical suites include full bathrooms with beautiful private showers and all suites are air-conditioned. The Ivory Presidential Suite is a suite is a favourite for every visitor. An en-suite bathroom and a private plunge pool make this suite exceptional. It has a private terrace and an own cosy fireplace. A not to forget, a visit to the Ivory Presidential Suite will include a private Land Rover. A special suite which is a must for honeymooners is the Lourenco Marques Suite. This memorable suite has a king-size bed and an en-suite bathroom. This royal bathroom has indoor and outdoor baths and showers to make your stay unforgettable. A day at Sabi Sabi Selati Camp could be as follows (depending on the season): early in the morning a soft tap on your door will wake you up and morning tea is ready for you. At around six in the morning, the morning safari starts. This thrilling event will take around three hours. A walking safari will follow, which offers you discussing time with the ranger, who can you give you all the information you need. In the afternoon, lunch and an afternoon tea will be ready for you. At around 16:30, the afternoon safari starts and will meet all your wishes. After this three hour event, dinner will be served for you in the open-air boma or farmhouse kitchen at around 20:00. Instead of going on a morning safari, a morning guided bush walk is also an eventful option. In a small group you will walk through the South African wildlife and truly feel and experience the thrilling bush veld. If you love bird watching, then Sabi Sabi is the best place to be for you. Sabi Sabi has around 350 different species of birds, a diversity of trees, shrubs and flowering plants. Book your Sabi Sand safari at Sabi Sabi Selati Lodge and travel to and from the reserve in style! When staying for three nights we may offer Skukuza Airlink flights almost free of charge. The package includes return flights from Johannesburg to Skukuza Airport (SZK). The return package costs ZAR 46,353 per person sharing (valid between 11 January 2019 and 19 December 2019). Loved Selati Camp. Small and intimate and the best, smartest ranger and staff. Game drives were wonderful and Yaap is the man! He is an exceptions ranger at the camp who knows the animals (large and small) as if he spent his whole life with them Allistair was there to great us when ever we returned to camp after a drive and the atmosphere was just so warm. Our suite was beautiful and it was a great African experience. After a short visit to both Bush Lodge and Earth Lodge Selati would have my vote for a true Out of Africa Experience! Also our tracker Voster was delightful! Just returned home after 4 days at Selati Lodge, in the Sabi Sands Private Game Reserve. I cannot recommend this lodge highly enough. The food was fantastic, the staff helpful and happy, the accommodation fit for a princess. But the highlights of the trip were the Dawn & Dusk safaris. The exhilaration of driving round a corner & finding a mother rhino & her 1 month old baby in the way was only exceeded by coming across a pride of lions hunting a herd of buffalo, which was exceeded by finding a mother leopard & her frisky baby resting on a termite mound. Our ranger Alaister and tracker Mike were so superb, I can't thank them enough for their professionalism and enthusiasm and friendliness to us, Book your trip NOW!!!!! Sabi Sabi Selati is named after the long abandoned Selati railway that traverses sections of the Kruger National Park. Please note: Indicated price is for a 'Suite', which is the most basic room available at Sabi Sabi Selati Camp. A single supplement only applies if 3 singles or more are booked. Tariff is the sharing rate plus a surcharge of 50% per person. 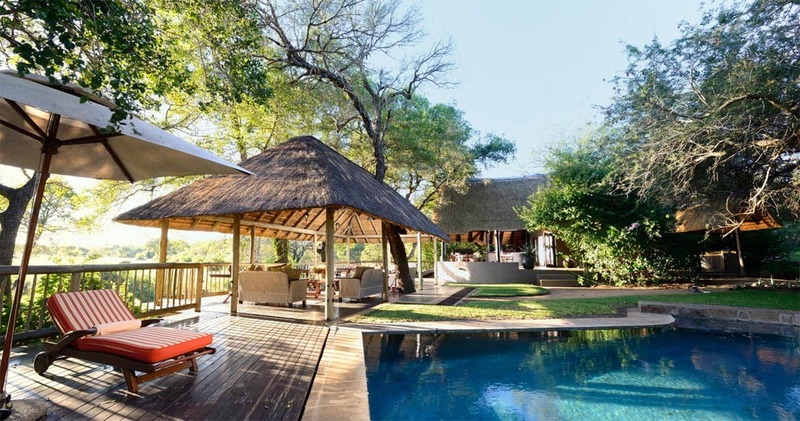 Read all about travelling to Sabi Sabi Selati Lodge on our getting to Sabi Sands page. 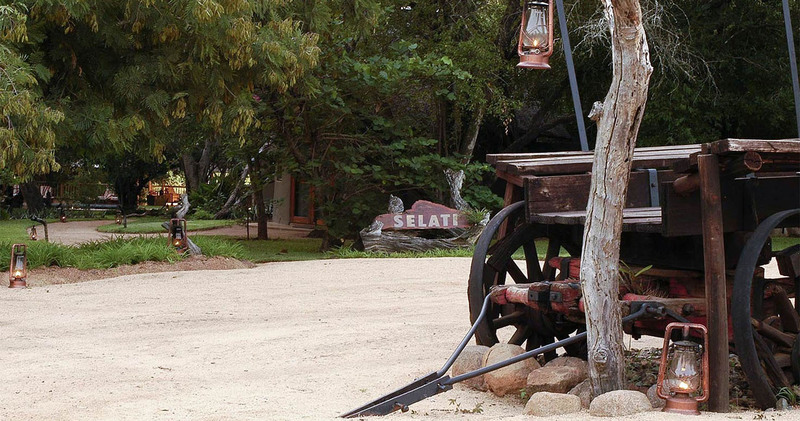 Children are only allowed when Sabi Sabi Selati Lodge is booked exclusively by one party. 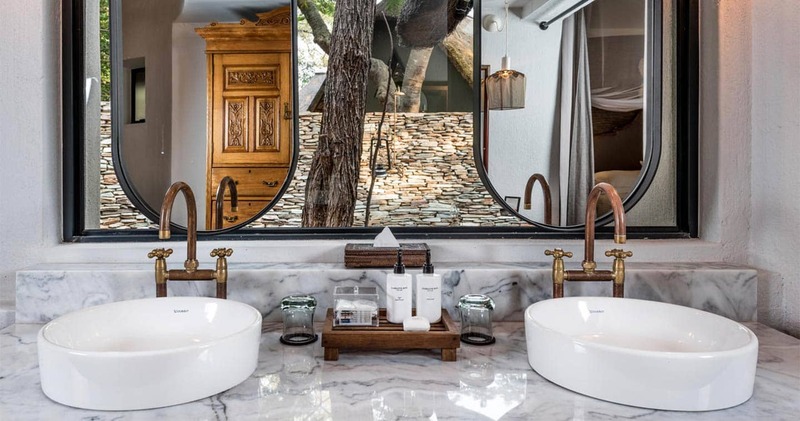 We hope you have found all information needed to decide that Sabi Sabi Selati Lodge in the Sabi Sands Game Reserve is the perfect place for your next travel adventure. Please fill in the contact form and we will get back to you soon!